This is how much coffee will be consumed over the next five days. London Fashion Week officially kicks off today ahead of what is sure to be a very exciting fews days in the city with Riccardo Tisci’s debut at Burberry and Victoria Beckham’s 10-year anniversary show. 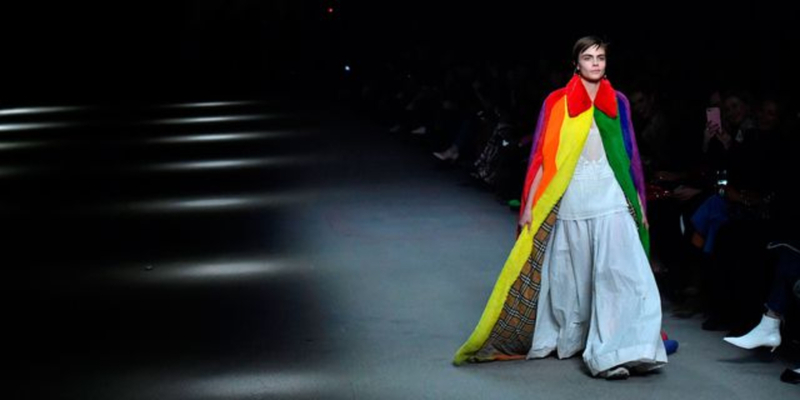 And, while there is always plenty of buzz around the biannual event, this season, the British Fashion Council has collated a Value of Fashion report which breaks down all the data surrounding the event, and the numbers are quite staggering. Created in partnership with creative innovation studio, Holition as well as Google, Condé Nast and Pulsar, the BFC has released a data visualisation project entitled ‘Blossoming Fashion Conversation’. During this season’s five-day event, there will be 80 on-schedule designers showing their collections; 54 of these will be hosting catwalk shows, 26 will be putting on presentations and there are scheduled to be more than 20 other events taking place. At the end of McQueen’s now iconic spring/summer 1999 show, model Shalom Harlow twirled on a revolving wooden platform wearing a white strapless dress. As she circled around slowly, two robots sprayed her with coloured paint. This haunting moment has since gone down as one of the most memorable in fashion show history.